soul caliber » Tag » Code, Gadget, Geek! 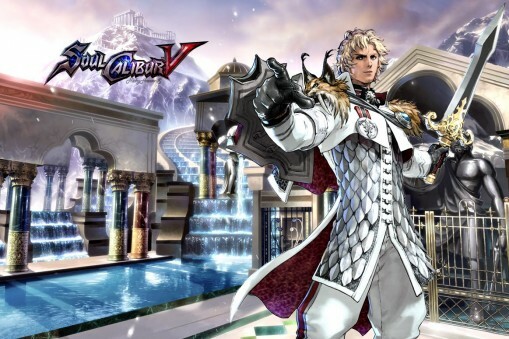 Soulcaliber V is a game by Namco that is expected to be released in early 2012. The current release dates are at the end of January and the beginning of February. This is the sixth game in the Soul series. Soulcaliber V takes place 17 years after the events in Soulcaliber IV. The hero in this game is Patroklos, the son of Sophitia, another character in the game. Patroklos is searching for his sister and mother in this game. The leader of the opposing side is Pyrrhea, the daughter of Sophitia. Pyrrhea was kidnapped as a small child and is unaware of her family. New characters include Yan Leixia, a fifteen year old who wields a Chinese sword, and the daughter of Xanghua, Natsu, a female disciple of Taki wielding, Z.E.W.I, who wields a three headed sword and turns into a wolf creature in battle, Viola who serves Z.E.W.I., and Xi’an, who is on a quest to retrieve the sword of Killing. A guest character is Ezio Auditore da Firenze from the Assassin’s Creed series. Ezio will appear as the character did during the Assassin’s Creed Brotherhood version. The part he plays is not yet completely clear. Returning characters include Siegfried Schtauffin, Ivy Valentine, Cervantes de Leon, Hilde VonKron, Maxi, Tira, Voldo and others. There is a new Nightmare in this game that is a different and stronger being than the previous one, who was defeated at the end of Soulcaliber IV. The new version also has some improved game abilities for the players. Character Creation has a number of new facets that will make forming your characters more fun than before. Ring Outs has added an extra layer of depth with defeated characters actually falling into another ring to continue the battle. Just Guard is a new battle technique replacing the former Guard Impact technique. This new attack is faster and has less damage to the launcher if the attack misses. Players can now side step an opponent by double tapping up or down. The critical finishes that were part of the last game are not carried on in this version. A new gauge allows the characters to super charge before meeting in battle. This game should be great fun for anyone who loved version IV. A collector’s edition of the game will also be released at the same time as the new game.